AVCO is a student run organization that was set up by the MLC student body to provide for AV needs of the MLC campus. In many ways the needs of the campus have grown since its inception but the AVCO continues to play a vital roll in providing for AV needs in conjunction with, AV Services. 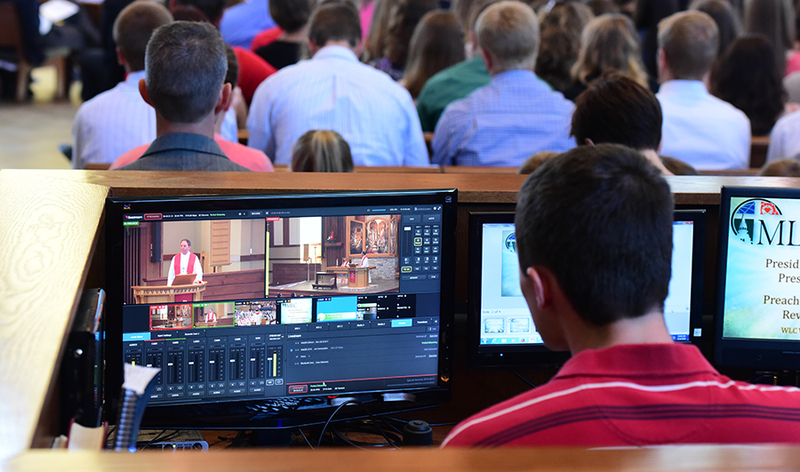 AVCO Students provide sound and light for MLC forum productions, streaming and sound support for chapel service, sound, light, and event staffing for Concerts, and work with AV services to provide for additional AV needs campus wide. Please contact Benjamin Matzke for more information on joining AVCO.